How many times have you gone to the gym and you just don’t know what to do? What exercises should you perform? How heavy should you go? How many sets and/or reps should you perform? It could be quite overwhelming. Fortunately, you will have to look no further. We will teach you how to create a fitness plan so that you can maximize your workout despite your busy schedule. In Part 1, we discuss the central concepts of exercise and training, as well as the best kind of exercises to perform. If you haven’t read it yet, it is best if you read that post first. You can find it at 3 Basic Principles Of Exercise You Need To Know Before Working Out. As busy individuals, we need to design quick and effective fitness plan to maximize the little time we have to exercise. It starts by choosing the best exercises. One of the biggest mistakes people make when starting or creating a training program is focusing only on the obvious muscles. This includes biceps, triceps, and abs. While there is nothing wrong with training these muscles, they should not be your primary focus. As we discuss in Part 1, there is a big difference between compound exercises and isolation exercises. Isolation exercises only train one muscle group at a time and therefore are not efficient. At least 80% of your training should be comprised of functional exercises. Of all the exercises available, there are 6 that produce the most benefit when it comes to training. All 6 of these exercises have a large range of motion utilizing many large muscles groups, and as a result, they burn a lot of energy. I will try to keep this simple and straight to the point. If you could only do one exercise, this is it. Squatting is the best way to train almost all of the muscles in your lower body, at one time. You don’t have to do the standard barbell squat either. There are numerous variations of this exercise that you could perform to reap its benefits. Why is the Squat a Necessary Exercise? The squat also trains a key functional movement pattern: your ability to rise from a seated or crouched position. So many individuals have lost the capability to perform this basic pattern through neglect. Your workout plan MUST include some variation of the squat. Check out our squat tutorial here to learn the basic barbell squat. The next most important exercise to include in your workout plan is a hip-hinge exercise. The most common hip-hinge is the deadlift exercise. The deadlift trains the hips, hamstrings, glutes, spinal erectors, core and back muscles simultaneously. No other exercise trains more muscles than this movement pattern. This is by and large the most efficient exercise you could do. (*The exception is the clean and jerk, which by the way, uses the deadlift as the first part of the lift*). There are numerous deadlift variations you could perform that all serve the same hip-hinge purpose. Why is the Hip-Hinge a Necessary Exercise? The hip-hinge teaches you the correct way to pick up an item off the floor without throwing your back out. It is cringe-worthy to see how many individuals pick items up off the floor. Check out our deadlift tutorial here to learn the basic conventional barbell deadlift. Next up is, single leg or unilateral leg training. The unilateral leg pattern is a key functional exercise that allows the individual training of each half of your body. Due to the nature of our lifestyle, we tend to have asymmetries between the left and right side of our bodies. Why is Unilateral Leg Training Necessary? Almost everything we do in the real world is unilateral. Walking, running, going up steps etc. This style of training will allow you to identify and address any potential imbalances you may have while improving your body’s overall balance. The best single leg exercises are lunges, split squats, step ups, and Romanian deadlifts. You can find a good example here, and here. Now we finally move on to the upper body. The large muscles of the anterior torso primarily function to push things away from you. These muscles are the anterior shoulders, the medial shoulders, the pectoralis muscles, as well as the strong triceps muscles behind your arms. Unfortunately, everyone trains this movement pattern far too often. Focusing only on your ‘mirror muscles’ can lead to imbalances, pain, and injury. Why is The Upper Body Push A Necessary Exercises? The push pattern is critical because it strengthens the shoulder joint in a stable position, helping to decrease shoulder dislocations and other shoulder injuries. It is also important in helping brace a fall, or push you up off the floor if you have already fallen. Upper body push patterns can be broken up into horizontal exercises; such as push-ups, dumbbell pressing, and all bench press variations, and vertical exercises such as overhead pressing and incline pressing variations. The corollary of pushing is pulling. The back is comprised of many different muscles, all of which can be trained through a variety of pulling exercises. Most people tend to ignore the pulling muscles as they cannot be readily seen in the mirror. Unfortunately, almost everything we interact with is in front of our body, and therefore our anterior ‘pushing’ muscles get much more stimulation than the posterior pulling muscles. This is why it is very important to train this pattern often, to iron out any muscular imbalance that exists between your anterior and posterior torso. Pulling exercises also help restore the natural posture of your shoulders and upper spine. Why is the Upper Body Pull a Necessary Exercise? Pulling exercises train your ability to, well, pull objects towards you. In addition, if you ever find yourself on a cliff or hanging from some ledge, you should have the ability to pull yourself back up! The best pulling exercises include all type of rowing exercises. Like the upper body push, you can pull in a horizontal and a vertical plane. The last functional movement pattern is core stabilization. Most people go about core training the wrong way. We weren’t designed to be doing sit-ups. Yea, that’s right. So if we aren’t meant to do situps, then what should we do? In the post below, you will learn the 17 best core exercises of all time. Why is Core Stabilization a Necessary Exercise? When we move throughout the day, our spine isn’t flopping around front to back, or side to side. We walk with an erect posture, we carry groceries with an erect posture, we carry our kids with an erect posture, and we sit with an erect posture. Without realizing it, we rely heavily on our core muscles to keep our spine neutral and stable. Our core training should mimic patterns that ingrain stability, NOT mobility. Sit-ups and crunches promote spinal mobility while under tension. This is a big no-no! Useful core stabilization exercises include planks, farmer carries, ab wheel rollouts, and leg raises. Your fitness plan must include some variation of all 6 of these movement patterns. I will call these the non-negotiable exercises. These 6 exercises will help you create a workout plan to build muscle, to lose weight, and improve your overall fitness. If you would like to learn more about these exercises, check out our post on The 17 Best Core Exercises. In combination, these 6 exercises will train almost every single muscle group in your body while teaching important human functionality. Now that we have the foundational exercises selected, let’s talk about how much of each you should perform. The next thing your fitness plan needs to do is to vary the number of repetitions you perform. The beauty of exercise is that you can perform different amounts of repetitions to obtain different desired effects. If you were to ask most personal trainers, or the average gym goer how many reps you should do- they would recommend 3 sets of 10 repetitions. While this is an excellent starting point, you will miss out on the benefits of using all of the other rep ranges. If you are a beginner, the majority of your training should be in the Hypertrophy range. While doing sets of 10 repetitions is fine, you can also vary the weight you’re using by performing sets of 8 or even 12 reps (*lighter weight will allow you to do 12 reps, whereas heavier weight can be used to achieve 8 reps). If you have been training for a couple of months or if you are more of an intermediate athlete, dipping into the Combination Rep Range from time to time will be extremely useful. It should go without saying that the more weight you are using, the fewer reps you will be able to perform. Therefore, you should ensure that your technique is on par before hitting weights in the 4-6 repetition range. Lastly, the Maximum Strength range is generally restricted to advanced athletes. However, once a good technique has been established, learning the maximum weight your body can handle can be both fun and self-motivating. Do not practice in this range until you have been training consistently for at least 8-12 months. For busy professionals, I recommend sticking to the Hypertrophy range for most of your training (at least 75%) to accomplish a lot of work in as little time as possible. Now that we have a basic understanding of the number of repetitions you should do, let’s talk about the optimal number of sets you need to do in your program. Every fitness program needs to perform the right number of sets per exercise. As with any training related endeavor, the number of sets you need to perform varies depending on your goals. There is a lot of wiggle room here. For the most part, you should aim to accomplish anywhere between 20-40 total repetitions per exercise, in approximately 3-6 sets. For example, If you are performing 8 repetitions, you can do anywhere from 3-5 sets to be in the 20-40 rep range. Generally, sets and repetitions are inversely related. But keep in mind that these are simply guidelines. You can mix and match the number of sets and reps to accomplish any desired amount of volume. For example, you can get 24-25 repetitions by doing 3 sets of 8, or 5 sets of 5 reps.
More weight can be handled with the second option but it will take longer and it will induce more strength production whereas the first option will have more of a hypertrophy focus. For doctors and other busy professionals, I recommend sticking to 3 sets for efficiency. So what if you’re a woman and you want to exercise, but you don’t want to get bulky? Unless you are specifically training for size, eating a big calorie surplus, and have a decently high level of testosterone, you will not get bulky. Getting bulky is very difficult. How many ‘bulky’ women, do you actually see at the gym? Think about it, if all you had to do was lift weights to get bulky, everyone at the gym would be huge. Especially all of the guys. Woman generally don’t have high enough levels of testosterone to pack on large amounts of muscle. It is also disrespectful to people who actually want to pack on some muscle. 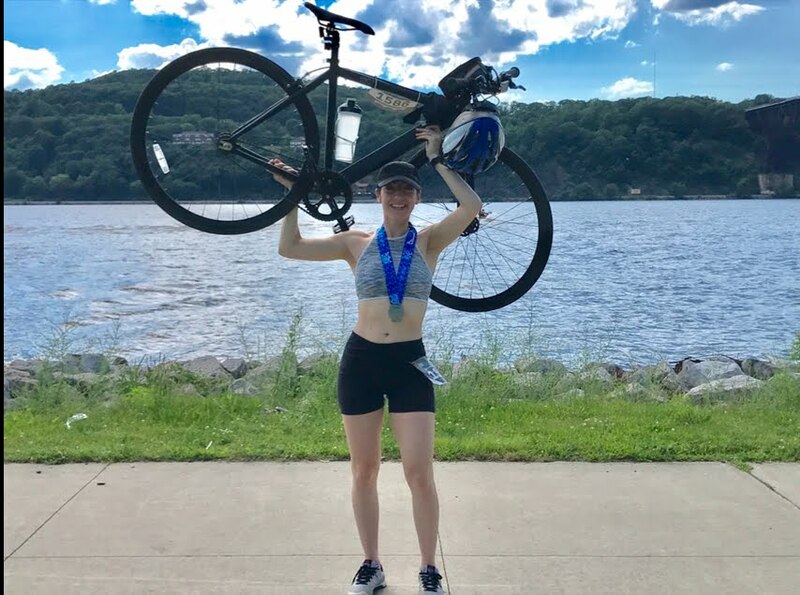 Saying I don’t want to lift weights because I don’t want to get bulky is like saying, I don’t want to bike too much because if I am not careful I might be doing the Tour de France soon. So with that said, what should a workout plan for women entail? Women can generally handle more work volume than men. This is because on average, women are generally shorter and a lot lighter than men. As such, the weights lifted will be less, AND the range of motion will be less. Therefore, the weights won’t induce as much fatigue. This is why more reps and/or more sets are useful. Similarly, women can recover faster from an exercise, so they don’t need as much rest time in between sets. So if we were to look at the rep range recommendations from above, women should go into the Endurance Rep Range and stay on the higher side of the Hypertrophy Rep Range for the majority of their training. Losing weight is a process that requires you to speed up your metabolism. In the simplest sense, metabolism is how much energy your body uses up just to stay alive. So even while you sit here and read this, or when you go to sleep later, your body is using up calories. So how do we speed up your metabolism with exercise? Everyone loves to quote “muscle is more dense than fat,” but who cares? The better quote is “muscle is more expensive than fat.” Your body has to use up more energy to maintain its muscle mass. Muscle is your body’s secret weapon to burning fat. Using the principles laid out in this post, you can design a training program to help you increase your muscle mass and speed up your metabolism. We have written in more detail about exercise for weight loss at The 3 Best Exercises To Lose Weight Fast [And Build Muscle Too]. Steady state cardio is a horrible way to lose weight. You will never be able to outrun your diet. Instead, you should focus on increasing your muscle mass and performing High Intensity Interval Training 1-2x per week. We have written an entire post on this topic at A Superior Form Of Cardio For Weight Loss [The 15 Minute Workout]. We covered a lot in this post. 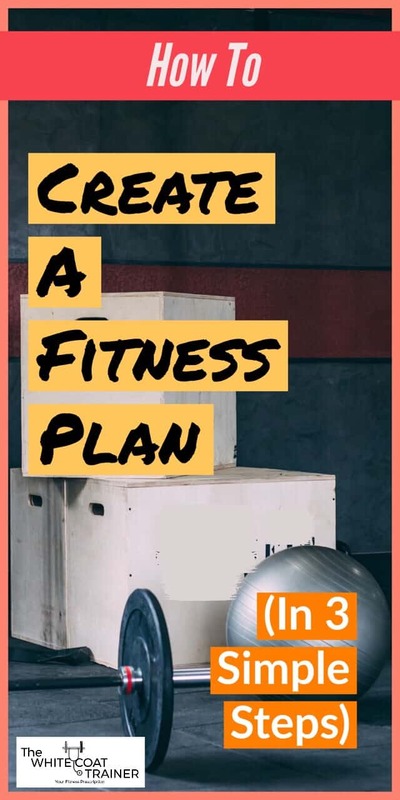 You are now armed with best practices for creating a workout plan to meet your goals. These strategies could be used by beginners or intermediate athletes alike. Don’t let your busy schedule get in the way of your health and fitness. You no longer have to go to the gym and ask, what should I do at the gym? But we didn’t answer how often you should workout or how many times should you train each muscle group. In Part 3, The Best Workout Template For When You Have Little Time To Workout, we answer these questions AND we provide a template to help you develop an effective training program. All fitness plans should incorporate some variation of the 6 non-negotiable movement patterns. The number of sets and reps can be altered to suit your training goals. Higher reps will build endurance and hypertrophy, while lower reps will lead to strength development. Stick to 3 sets of 7-12 reps for the vast majority of your training to maximize efficiency in your workout routine. Women can train similarly to men, just with higher volumes. Do you generally perform the 6 functional exercises we described in this post? How many sets do you usually do? Don’t forget to share this article if you found it useful, and subscribe to receive a copy of our workout template for busy professionals!